I am currently going in my sophomore year at Piedmont College here in Northeast Georgia. I am a proud member of the Lions Men’s soccer team. In case you were wondering I am a defender I mainly like to play right or left wing back. I’ve been playing soccer all my life. When I first started playing the game I was in first grade and haven’t stopped playing ever since. Coming from Kenya, running would be the first thing people think of when they think of Kenya but soccer is growing in the country and we are becoming stronger by the years. My whole soccer career has been full of ups and down just like any other athletes would have. Going into high school I thought everything would come my way and I would the so called “star” of the team but I learned the hard way. I was put on the JV roster my freshmen year which disappointed me and was the turning point of my career. It made me loyal in many ways and it drove me to work harder and I learned to never take anything for granted. 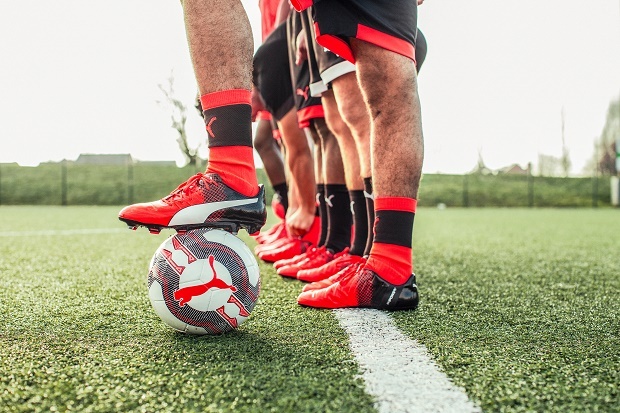 Enough about me, let’s get to what you guys and girls wanted to know and that’s what do I think about the Puma evoPOWER 1.3 cleats. When I first took them out of the box my eyes were surprised to how appealing they are. The fact that they are neon can be a little too much if you aren’t into bright cleats but that’s a small problem as by now they have any other colorways. 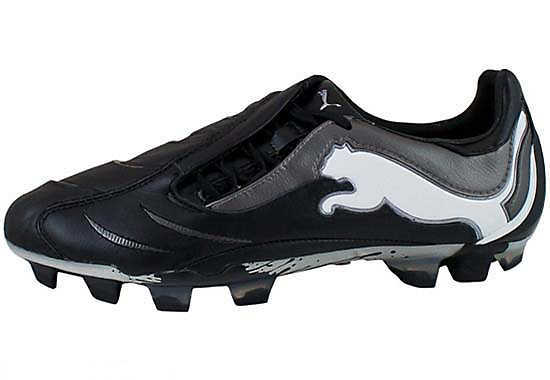 These are my second pair of Puma cleats. My first were the Puma evoSPEED SL and they seriously changed my thoughts on Puma cleats. 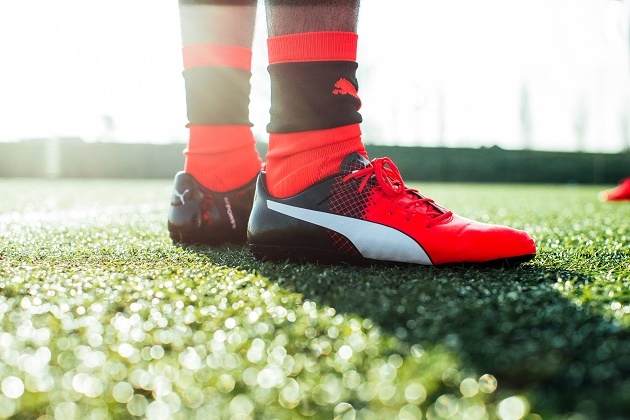 The Puma evoPOWER have a power look to them. They look like they hold power in them compared to the slim line of the evoSPEED. In my opinion they passed the eye test to me. Now when it came time for me to put them on my feet I was surprised at how comfortable they were and how they fit. There weren’t any places where the shoe was too tight or too loose the fit overall was secure and snug. 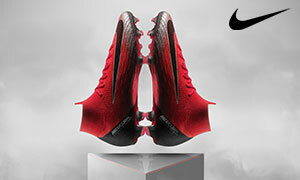 I will say that they are a very wide cleat to wear so if you have wide feet they would be a great fit for you. The evoPOWER being that wide reminds me of how wide the Nike Tiempo is. When I first starting running around with the cleats they shocked me to how they acted like they were already broken in. The soleplate wasn’t too stiff and really let my foot bend when I started running around in them. If you need some cleats in which you want a short break in time I would definitely recommend these cleats. Now we can get to one of my favorite parts about cleats and that’s how to respond to the quick changes in direction. In the past I’ve worn cleats that caused me to slip a lot when I want to stop quickly and explode into a new direction. The good news is that the whole time I wore these cleats when I was training and playing in some small games I didn’t have moments where it felt like a rug was taken from under me. 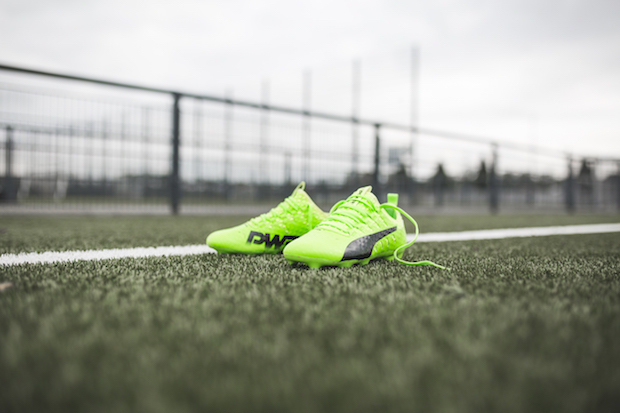 I had great responsiveness with the evoPOWER from the ground. 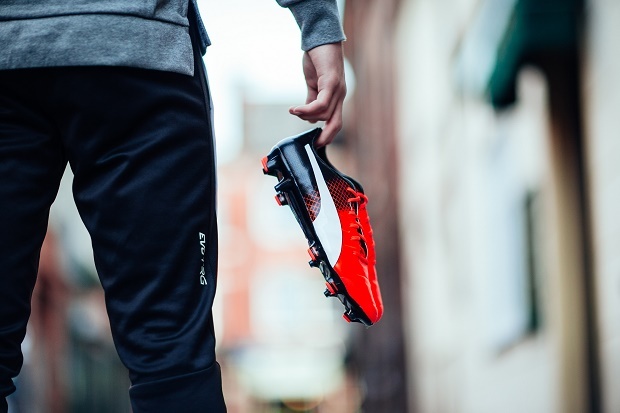 The first touch with the evoPOWER was great and very clean. I could feel every touch with the great upper that the cleat has to offer. It soft enough to be comfortable but thin enough for you to still be in contact with the ball at your feet which is very important. The cleats also had a great strike zone with them. When I was taking shots I couldn’t be happier with them. I rarely had a shot where I felt like it was the shoe’s fault. The shots were great and had plenty of power in them. I know people always talk about how long cleats would last and I think these would last a long time. They are sound and durable. In conclusion the cleats were great for them being my second pair of Puma cleats ever in my life. I would definitely recommend these to anyone who is trying something new. They are worth the money and everything. Go out and get yourself a pair and start enjoying them.